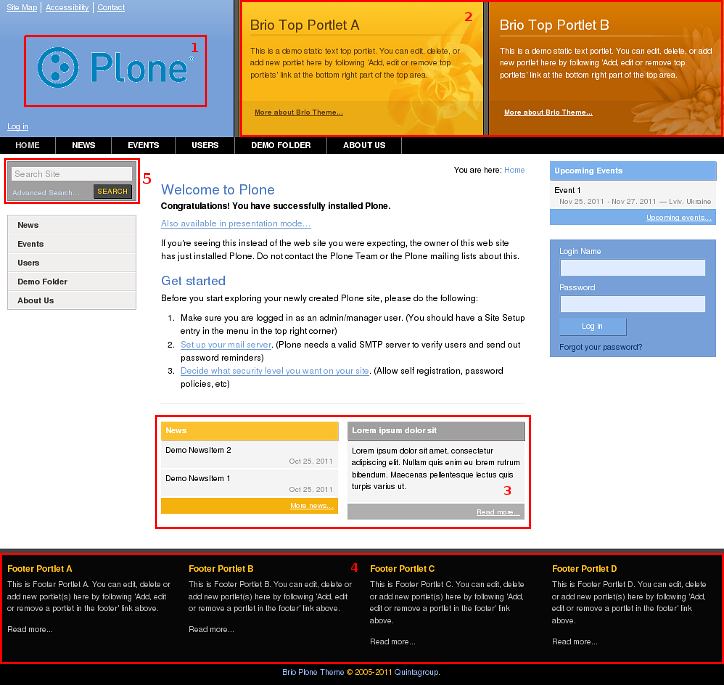 This Plone tutorial will teach you how to customize Brio diazo Plone Theme on Plone 4.1 site. Here you will find information about how to replace theme logo, how to fill top areas with new content, how to manage theme demo content, etc. Use navigation on the right to navigate through all tutorial sections and learn how to modify Brio diazo theme. The following tutorial covers customization of Brio diazo Plone Theme on a Plone 4.1-4.3 website. For customizations of previous theme versions - see Brio Theme in Plone 4 and Brio Theme in Plone 3 tutorials.